When I first started writing this blog, the price of a single bitcoin was around $230 or so. Today the price of a single bitcoin is beyond $17,000 along with a whole slew of new financial assets that have been created by no governments or bankers; but by cryptography, computers, and coders alone: cryptocurrencies. This new kind of money serves not the interests of the banking and corporate elites, or the corrupt government ministers who kowtow to them; but the people who control them alone. We have seen cryptocurrencies like Bitcoin, Ethereum, Litecoin and Monero gain +10,000% returns over the last several years, and they simply continue their climb against all of the harping of bankers, economist, and purported ‘experts’ of finance. They have declared cryptocurrencies are a scourge and something to be detested; a grievous wound against all of society, and they must be destroyed. Again and again we hear from them that this is a bubble, that it has no social value, and that it is going to ‘crash’–and yet we find that the honey badger of money continues its slog upward and to the right despite all of their raging cries. This is by no mistake, as cryptocurrencies are fundamentally better at storing value than any fiat currencies in existence today. This is because the fixed and known monetary supplies and inflation rates of cryptocurrencies; but more importantly, the social consciousness and consensus that allows for them to exist. People can now control their wealth with nothing more than the power of cryptography. Cryptocurrencies are rewriting the entire way that money is understood and used–and with that, who gets to control and benefit from these systems. Today, each and every form of fiat money is nothing more than a legal tender that holds value simply because governments command it. However, if we look over the course of history; again, and again, we see states fail, governments collapse, and their money inflate to nothing. This is not by mistake, but by design. Just look at what has happened in Venezuela over the last few years. What those in contemporary finance and government fail to see is that bitcoin and cryptocurrencies are a radically departure from state-sponsored financial systems and the tyranny that they enable. For the better part of modern human history we have simply had to deal with the fact that government officials could show up at our places of business or our homes, rob us at gun point and call it legal. That they could fictionalize up mountains of money and give it to their corrupt banking and corporate friends, and tell us it was for our own good. Again and again, we see the powers-that-be prod us down the road to serfdom, and tell us it is the yellow brick road to the Emerald City. We have seen what happens to those who follow that path, and the poverty it creates for all of us. The revolution that we have all been waiting for is finally here, and it is the radical divorce of state and money from each other. Governments were never entitled to steal the wealth of the world for themselves and for their barbaric and unholy purposes. We finally have a way to resist their tyranny and fight back with economic means alone. Just as we once saw the radical divorce of church and state fundamentally change society for the better, we will once again witness such a radical epochal change–but this time it will be from the separation of money from the state. Those of us who hodl crypto know and understand that bitcoin and cryptocurrencies have nothing to do with money. The true purpose of cryptocurrencies is to create a new form of economic power that will be the harbinger of a new society. A society where economic power is outside and beyond the control of the state, and the monstrous banking and financial sectors that they have fused with. It is from this base of power that we are creating that a whole new society within the framework of the web. To each according to their code, to each according to their keys! Cryptocurrencies by their very nature are political because no single government can control them. They act as an explicit form of wealth for the individual alone, that no state can expropriate. Unlike all other forms of wealth that can be expropriated from the individual, cryptocurrencies cannot because of the cryptography that they are build on top of. People are coming to understand that cryptocurrencies are better forms of money because they are governed by code alone, which makes the contract a digital sacrosanct. Cryptocurrencies exist only for the benefit of those that hodl and use them while creating an explicit economic program of counter-economics in which the state’s coercion and violence is banished. Through building money on top of cryptography–a communication explicitly designed for war–a new kind of value is created from the explicit incapacity of governments to control them. With the recent abolishment of the largest bank notes in India, Venezuela, Pakistan, and Australia’s announcement to join them, the war on cash is coming. This is a war for the total economic control of money by both governments and banks. This is not for our safety, or security–it is to ensure the theft of our wealth, and the continued enslavement to banking and political interest of the oligarchs. To have a truly independent form of money strikes at the very root, the very heart of the issue: politics and economics are one in the same. Money is the most fundamental of the social contracts. When we can come to understand that the monopoly that all governments and banks have on the issuance of money under the guise of ‘safety and security’ is nothing more than a ruse for their own enrichment, we can start to understand the very real power we now have to fight back. Through taking our economic power and choosing to put it into a form of money that they cannot control, we create the most powerful form of political resistance that is possible: economic resistance. If money is the only thing that these corrupt monsters care about, then lets make it about money–how much money we can cost them? What can we do together when we all withhold our economic power from their parasitic system? Because it is for each and every dollar that is not spent in there system, we get strong. For every single economic transaction that does not occur in their system, we become strong. For each person that realizes that the state should never have had control of the monetary system, we get stronger. It is only a matter of time until we are strong enough to take them on publicly and openly. What should be apparent is that money itself is the strongest and the most potent political weapon that there is. Once we acknowledge that money itself is first political, and secondly economic, that we can start to understand the true nature of bitcoin. Bitcoin is not about money, it is about power. A spectre is haunting the world — the spectre of Cryptoism. All the powers of the old world of flesh and steel have entered into a holy alliance to exorcise this spectre: political puppets of every party around the globe, regulators and bankers from every corner of the planet, and police and military forces of every nationality. I. Crypto and cyberspace is already acknowledged by all world powers to be itself a power. II. It is high time that Digital Natives should openly, in the face of the whole world, publish their view, their aims, their tendencies, and meet this nursery tale of the Spectre of Cryptoism with a manifesto of objectives. To this end, digital citizens around the world have started running nodes to distribute our code, and create a new society across the global. Arise Digizens! You have nothing left to lose but the chains of the old world, and a whole world to win! From each according to the code, to each according to the keys! Bitcoin and alternative digital currencies (altcoins) are much more that just simple currencies–they are a means of exchange, and the entry point into the new digital economy: the cryptoeconomy. Their development represents a technological protocol for digital ownership and economic exchange. This has far reaching ramification for both the internet and money as they both evolve to create their own new economic machine totally removed from state command economies and monetary systems. With digital currencies acting as a new sovereign monetary force, they are facilitating the growth of a radical new sector of the digital economy that is total unregulated, and removed from the onerous regulations of all state governments. This is allowing for a proliferation of specialized ‘altcoins’ which range from useless to spectacular, each which seeks to create their own specialization within this new digital economy. While many are duds and even outright scams, there is a whole new economy being built, and many of the ideas are both huge in scope, and with the impact they want to create. Adam Smith first presented the idea of specialization in Wealth of Nations. David Ricardo later expanded on this idea with his theory of comparative advantage, which is the idea that that nations should specialize in industrial production that they have distinct advantages in. Digital currencies can specialize in the same way, creating their own comparative advantage by working directly within the framework of the internet, rather then limiting themselves with anachronistic limits of state forms of money, and their laws. This, in turn, radicalizes not just money and finance, but anything to do with the internet and economics. One of the most important economic features of bitcoin and other digital currencies is the near-zero transaction cost they have, which means that in almost all cases over an extended timetable, digital currencies will always have a lower systemic transaction cost than any form of fiat money. Thus, using bitcoin as a mode of exchange to invest in new and exciting technologies not only is quicker, cheaper, and more secure (when using appropriate security protocols!) than in the fiat economy, but also opens up a whole new world of investing opportunity that could not exist otherwise. With digital currencies being native to the internet, unlike fiat money, they are empowered to create a totally new kind of economy which is not based on regulations and permission-seeking, but through creating totally new markets and technological opportunities. There is a plethora of new digital currencies and projects which all are using this same near-zero transaction cost to radicalize pretty much every single area of the contemporary economy through applying this technological advancement of money to their field. Each one of these project are focused on an area where the traditional economy is failing or falling short, and where a new digital version of it can change everything. Usually a public offering from a company is going to take millions of dollars, lots of legal fees, and huge amounts of regulatory oversight. The massive inefficiencies and regulatory burdens of this process has locked out most people from being able to be involved in this process, and unable to reap the massive profits that can come from high-risk investing like this. Now with the ability to raise tens of millions of dollars using cryptocurrencies, almost anyone can create a public offering for just fractions of what it once cost. The most common way of doing this with crypto at this time is through an initial coin offering (ICO). ICO are one of the most powerful modes of investing in the cryptoeconomy. Cutting through all of the red tape of investing and assuming the risks and rewards for oneself; there are huge opportunities (and scams!) that are occurring right now in the cryptoeconomy that are going to fundamentally destroy the old economy modes, in exchange for newer and better ones. The creative destruction of cryptocurrencies is changing all of the old way of investing and economic control, and imbuing that into the digital sphere. One of the reasons that this can be done is because of the stable store of value and the unit of accounting that bitcoin provides to these new investments. Through acting as a unit of accounting, people are able to invest directly into ICOs by sending bitcoin directly, and in some cases taking their profits in bitcoin directly too. There are also several great projects being built in the Ethereum ecosystem that are taking this same approach, with profits being paid out in Ether, the currency native to the Ethereum blockchain. Let’s take a look at just a few of the great projects that are currently being working on in the cryptoeconomy. I wrote a post recently about how bitcoin is the money of the internet and ethereum seeks to be the finance of the internet. I see bitcoin as being a core stable money of the internet, like gold throughout the world for most of modern history, and ethereum as being finance for the internet. I see a lot of ‘bitcoin 2.0’ being developed with ethereum, and a lot of amazing project are being built on top of it creating ‘Dapps’ or decentralized app. These Dapps are the applications which are going to fundamentally restructure the economy. From self-driving cars that pay for themselves and take themselves to the repair shop, to drones that will drop off your tacos once you send some bitcoin, Dapps are going to change the world. These project range from simply dice games, to robust prediction platforms, and public offerings for decentralized companies. Much of the reason for this is the simple object-oriented programing language, Solidity, that was developed for building smart contracts in Ethereum. This allows for simple smart contract to be built in a few days, rather then the few months it would take to do the same with bitcoin. Monero in many ways is what bitcoin originally wanted to be. 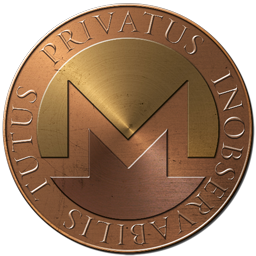 Using a new kind of cryptographic protocol that is different from bitcoin, Monero provides strong anonymity that ensures that users financial information, along with their personal identity is much harder to track then it is with bitcoin. For this reason, several darknet markets have recently started supporting Monero, and Monero looks like it is trying to create its own niche within the cryptoeconomy centered around true anonymity and privacy. I personally also like that the devs of Monero are anonymous, as I cannot imagine the state would ever let someone build a cryptocurrencys like this, and not attack them directly. Overall, Monero looks like a strong privacy-centered digital currency that could one day be the privacy currency. There are a few different projects similar to FileCoin such as Storj and Madesafe, which are all seeking to create a decentralized storage and hosting solution for the web. These are the kinds of huge, infrastructure changing, decentralizing projects which I think can radically change the internet, and in turn society itself. While FileCoin has not had an ICO yet, both Madesafe and Storj have, and they also have small limited application of the project released. These are the sort of radical project that are creating the new cryptoeconomy. Through creating alternative, decentralized networks that have the same functions as more expensive, centralized, state-sanctioned networks; we are creating the conditions of dual power in order to collapse the state. It is not just the market efficiency of these systems that will do this, but the very decentralized nature of them that will come to fully challenge the power of the state, and the networks they use. Each state-sanctioned network (facebook, fiat money, ISPs, exchange markets, etc.) will come to be challenged by a non-state network, and over time, simply because of the lack of onerous regulations, and the well-placed mistrust of the state; they will come to prevail over the state-sanctioned network. The digital age is presenting the interregnum between centralized state power, and decentralized digital power. Over the course of the next decade, states will find themselves struggling more and more with the spectre of the internet and the new forms of power it has created. As states do everything in their power to try to stomp out these new decentralized networks (particularly in more extreme ways as their power is challenged), they will come to find that they do not have power in this space. They will see the destituent power of cryptosystems, and will only be able to show their powerlessness against the immanence of systems built upon the power of mathematics, rather than the wills of men.